Update: Following on from earlier approvals in the US, the European Commission announced it has given marketing approval for both Kite’s Yescarta and Novartis’s Kymriah for treatment of patients with various forms of blood cancer. Yescarta (axicabtagene ciloleucel) can be used to treat adults with a relapsed or refractory form of the blood cancer diffuse large B-cell lymphoma and primary mediastinal large B-cell lymphoma, after earlier treatment with two or more other therapies has failed. Whereas Kymriah (tisagenlecleucel, formerly CTL019) can be used for treating children and young adults up to 25 years of age with refractory or relapsed B-cell acute lymphoblastic leukemia and adults with relapsed or refractory diffuse large B-cell lymphoma after earlier treatments have failed. 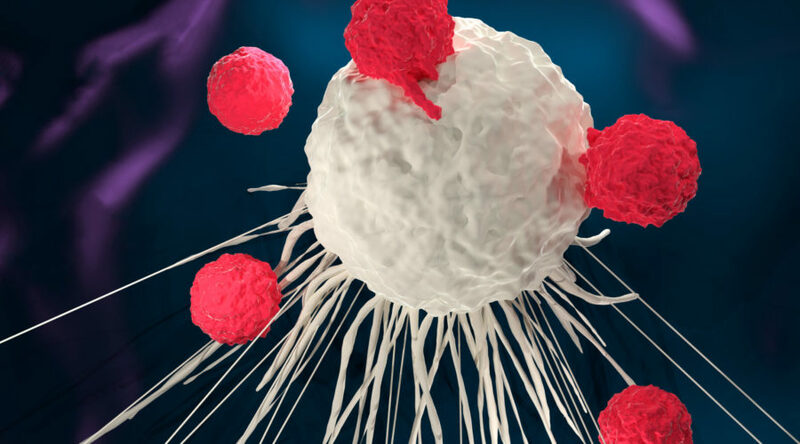 The European Medicines Agency has recommended the approval of what could soon be the first two CAR T-cell therapies for cancer in Europe. At its latest meeting, the EMA’s Committee for Medicinal Products for Human Use (CHMP) recommended the approval of Kymriah and Yescarta. Both are CAR-T therapies, a form of cell therapy that has shown impressive remission rates in patients with severe forms of cancer for whom conventional therapies have failed. Approved in the US since last year, they are now one step away from receiving a marketing authorization in the EU. The therapies involve the extraction of immune cells from the patient. These are then genetically engineered to express a chimeric antigen receptor (CAR) that makes them identify and attack cells expressing the CD19 antigen of B-cells. Although they have the same molecular target, they are indicated for slightly different forms of blood cancer. Yescarta, developed by Kite Pharma and then acquired by Gilead for €10Bn, is indicated for adults with diffuse large B cell lymphoma (DLBCL) or primary mediastinal B-cell lymphoma (PMBCL) after at least two failed treatments. Kymriah, developed by Novartis, shares the DLBCL indication but is also available to patients under 25 with acute lymphoid leukemia that have had at least two relapses. Although CAR T-cell therapy can be a life-saver for some patients, the treatment also comes with life-threatening side effects, such as neurotoxicity and a systemic immune response known as cytokine release syndrome. As a precaution, the EMA has elaborated a tight monitoring plan that involves educational programs for both patients and healthcare providers as well as periodical reviews of safety data. Once the EMA approves the treatments, pricing and reimbursement will be up to each individual country member of the EU. In the US, Yescarta is priced at $373,000 (€316,000) and Kymriah can reach up to $475,000 (€400,000), which the manufacturers justify on the complexity of CAR T-cell therapy, which requires individual manufacturing and shipping samples to and from specialized centers. Although it will vary from one region to another, European countries often negotiate prices that are significantly lower than in the US. Since CAR T-cell therapy requires specialized manufacturing, Gilead is building a brand new manufacturing plant in Amsterdam. Novartis will manufacture its therapy through an agreement with the Fraunhofer Institute for Cell Therapy in Leipzig. The approval of Kymriah and Yescarta in Europe would mark a big step in the field of oncology, which is finally moving away from chemo and towards more targeted approaches that harness our immune system. In another first, both therapies are the first products in the EMA’s new PRIME program, designed to accelerate the approval of innovative drugs, to receive a positive CHMP opinion.